The City of Pismo Beach has officially begun the process of rehabilitating the Pismo Beach Pier. If you go on the City's website you'll be greeted with the message, "This Pismo Beach Pier is currently closed to the Public due to the Pier Rehabilitation Project." The City has set up an official Pismo Pier Rehabilitation website to give updates on the progress of the project. 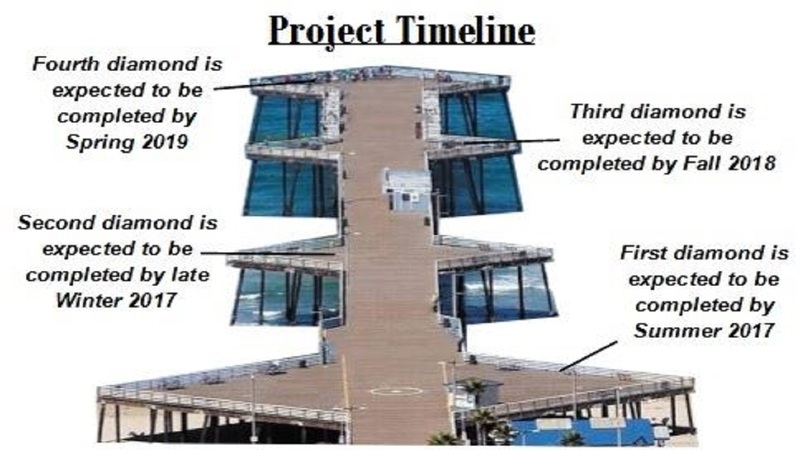 The site describes it by saying, "This project involves the temporary relocation of the bait shack and the information kiosk onto the promenade area, while the contractor performs the necessary structural rehabilitation work. Additional improvements include a new electrical system, water line for fire protection, upgraded lighting, benches, tables and other public amenities. There will be areas for public art and information boards for learning spaces describing the history of the Pier, the surrounding area, and the marine environment. Upon completion, the Pismo Pier will have the look and feel of ?Classic California? with a traditional wooden decking and outdoor recreational space." The Pier has suffered damage during several storms. The City tells Action News the project is on schedule, and the fourth diamond of the Pier is expected to be completed by Spring of 2019. The estimated construction cost is $8.8 million.